Tomato Season! Chances are you (or someone close to you) may have garden fresh tomatoes hanging around. I have a delicious recipe to share! 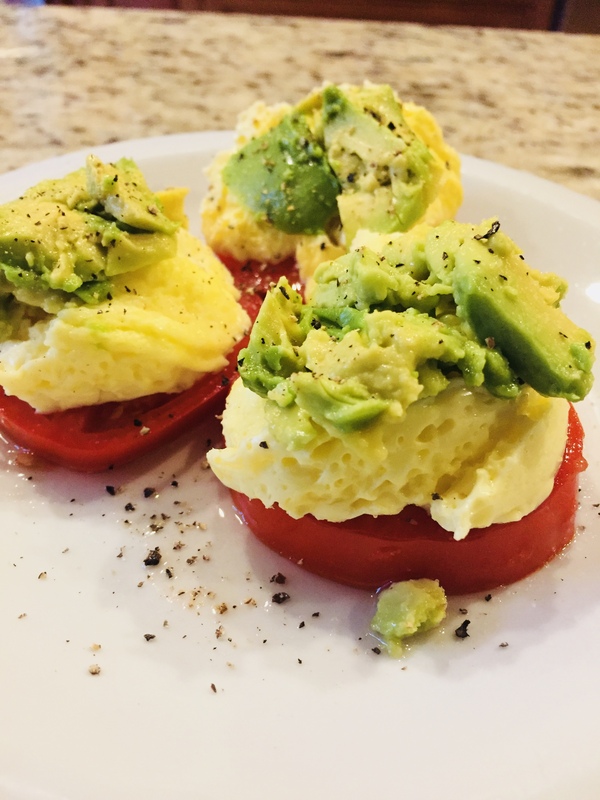 It is super simple, low calorie, and a great way to start your day (and use those garden fresh tomatoes). Stack them on your plate. Tomatoes first, then egg and avocado. Season with a little salt and pepper (or any seasoning that you love) and thats it! If your tomatoes are sturdy enough you can eat them like a sandwich or just grab a fork and enjoy! LUNCH IDEA: TAKE AWAY THE EGG AND ADD HUMMUS OR TURKEY. LIKE A SANDWICH BUT NO BREAD. OH NO! The scale is stuck..
MASON JARS & Meal Planning = Less Stress, Better Choices, and MORE TIME! Yum! Your eggs look so fluffy!